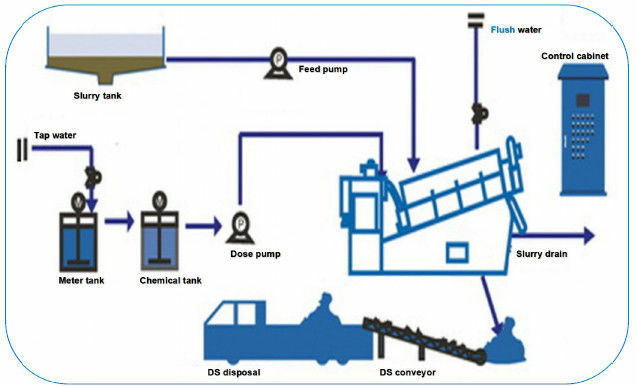 The device is mainly used for sludge dewatering, the moisture content of sludge after dehydration can be down to 75% - 85%. 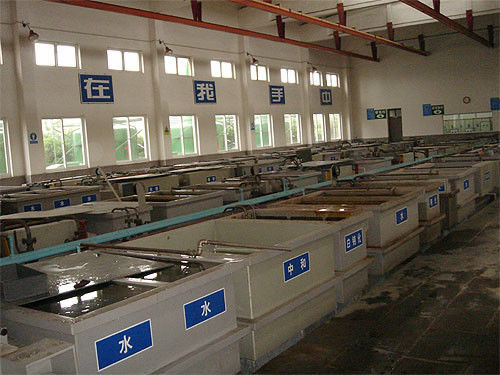 Volute sludge dewatering machine integrates full automatic control cabinet, flocculation conditioning tank, concentrated sludge dewatering ontology and collecting tank, can realise high efficiency flocculation under the condition of fully automatic operation, ensure continuous enrichment and squeezing sludge dewatering work, eventually collect the filtrate or discharge. 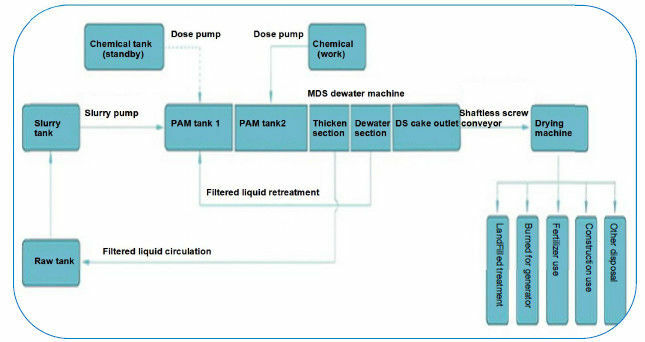 Municipal wastewater, papermaking wastewater, chemical waste water, food and beverage processing waste water, industrial wastewater, papermaking wastewater, pharmaceutical wastewater, oil processing and mining wastewater, etc. 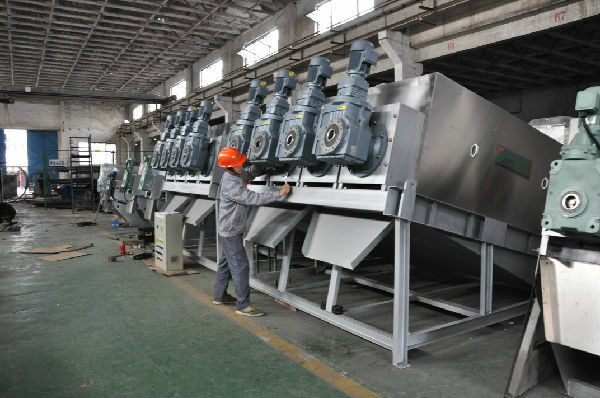 Comparing with the traditional belt, plate& frame and centrifugal machine,volute sludge dewatering machine adopts integrated design of dehydration ontology, flocculation mixing tank and electric control device, convenient installation , small area cover, strong compatibility with ancillary equipment, greatly reduce design and the construction cost, at the same time, no need to undertake civil construction as its exquisite design. Can realise 24 hours automatic unmanned operation by PLC remote control , reduce the operating personnel employment and maintenance costs. At the same time, due to the exquisite design, easy operation, it is easy to learn as no special knowledge and skilled technical complex requirements. Main body can self-cleaning due to the special structure, threr is no need to use a lot of water for cleaning to prevent clogging. 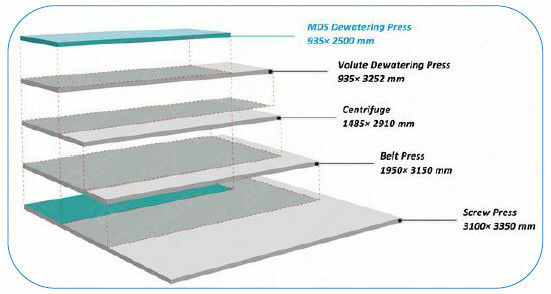 Compared with the same capacity of dewatering machine, screw rinse water consumption is only 1% of belt . 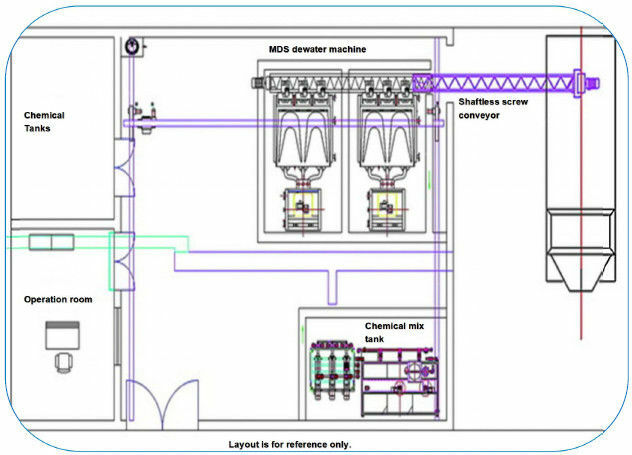 The rotation speed of screw shaft is 2-5 turn/min , low power consumption. 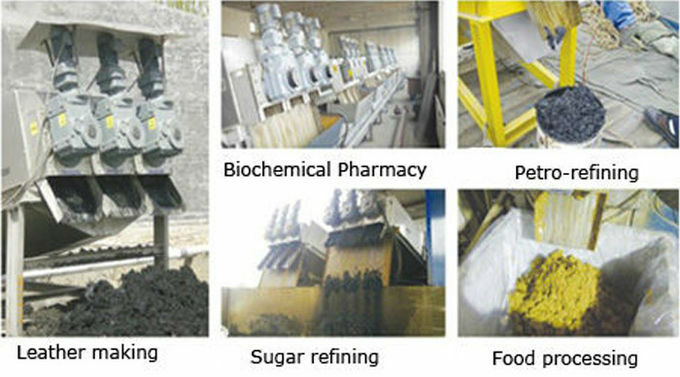 Power consumption is only 5% of the centrifuge, at the same time, no noise during operation as slow rotation speed and intermittent flush. 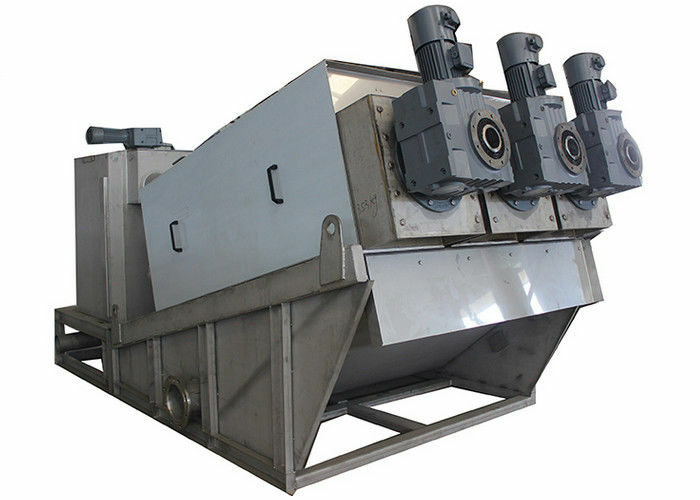 Multi-Disk Screw Press is a cutting edge sludge dewatering equipment with non-clogging design and low energy consumption, especially applicable for oily sludge.